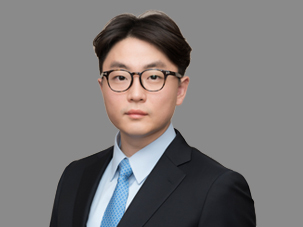 Dae Y. Lee, Esq., Pharm.D is a pharmacist attorney in Frier Levitt’s Life Sciences Department. Dae’s practice focuses on pharmacy operations, Pharmacy Benefit Managers (PBM) regulations, and pharmaceutical/medical device product liability litigation. He advises clients in a wide range of matters including insurance and PBM audits and termination, wrongful recoupment, wrongful network exclusion, and governmental investigations. In addition, Dae assists pharmaceutical/medical device manufacturers and distributors navigate the challenges faced by state and federal regulation of their products that are regulated by the U.S. Food and Drug Administration (FDA), including, but not limited to, composition, inspection of manufacturing facilities, labeling and advertising, recall procedures, quality assurance programs, potential product liability issues, and off-label promotion and alleged violations of the Federal Food, Drug, and Cosmetic Act. Prior to joining Frier Levitt, Dae represented the interests of clients in various product liability cases, including Actos, Incretin-based and other diabetes medications, GranfuFlo/NaturaLyte dialysate, Da Vinci surgical devices, power morcellators, and testosterone replacement therapy. He has represented the interests of bellwether trial plaintiffs and frequently made court appearances for oral arguments. In addition to his legal background, Dae has experience, as part of the Ernest Mario School of Pharmacy program, in retail pharmacies, hospitals, and an investment bank where he contributed to advising investors about biopharmaceuticals. Dae is fluent in Korean.